InvestCor Corporate is committed to delivering best-in-class quality service to our clients. One of the ways of achieving success is by cooperating with like-minded partners to provide best value services. Below is the list of our respected partners and associates in their field of expertise. Acumen Accounting & Auditing Ltd. Acumen is an accounting and auditing firm situated in the heart of Limassol (Cyprus). Acumen assists its clients in timely preparation and compliant consolidation of all the necessary financial reporting for your company in line with the International Financial Reporting Standards (IFRSs). 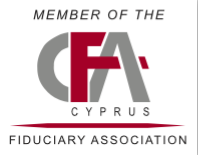 GDK Optimus Audit Services Ltd.
Christos Makrides and Associates Ltd.
P. N. Kourtellos & Associates Llc.